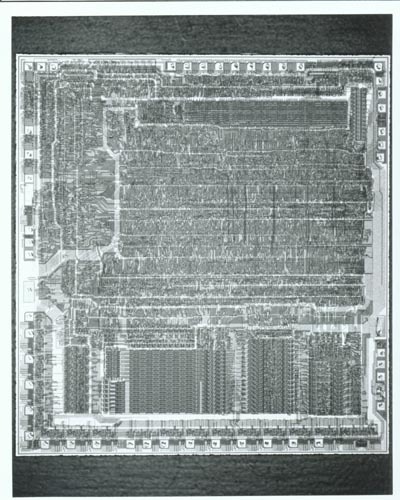 B&W image of Zilog Z8000 CPU chip. Verso blue stamp: "Neg No. 2242 6 Part No. Z80 (r) CPU (c) 1981 Melgar Photography Inc. 22971 Corvin Dr. (408) 733-4500 Santa Clara CA 95051"